message could be summarized in the words, “God is Love,” and he said the church was for sinners, including himself. He called on individuals and won their hearts to his vision. By October 1, 1958, he had called on around 2,500 people. He recruited the first music director, Louise Jacobson, who played an old brown upright piano at the first service in the Recreation Building on November 9, 1958. A select group was set up as a steering committee, including a local doctor, and the name of “St. Luke” was chosen because of the connection of the gospel writer, St. Luke, with the healing arts. St. Luke was a first century physician. This church was to be a place for healing. A Sunday School was started in January 1959 for children and teenagers, with an adult class meeting at the same time, and the young church formally requested permission to organize from the Board of American Missions. March 8, 1959 marked Charter Day and 92 individuals signed the Charter as Charter members. At an organizational business meeting held on March 15, 1959, average attendance at the worship services was reported as 77 individuals and the average offering per Sunday was $50. By April 23, 1959, it was announced that St. Luke now owned a lot at Chippenham Parkway and Custis Road, and Pastor Bill Kinser accepted the call to be the first pastor. During 1960, the young church planned to build a church on its building lot. The average age of the members was around 37 years and the average annual contribution per family was $90. They planned a building that would seat around 155 people. Work was begun in 1961 on the first unit which was eventually to be the Sunday School wing but which was used first as the sanctuary. 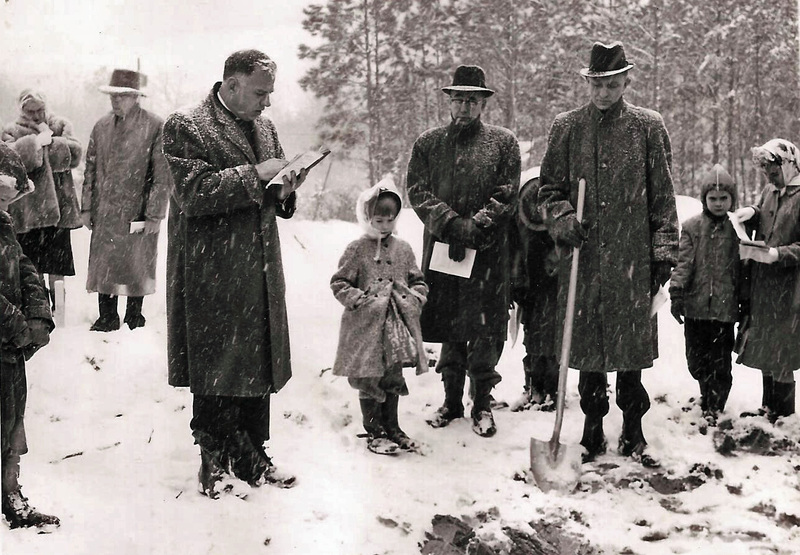 There was a ground-breaking ceremony for the new church held in January 1962, in a snow storm. We give it all to Thee. And calm our every fear. And strength unto the weak. And teach us to be meek. In Thy great master plan. The church continued to grow and flourish. 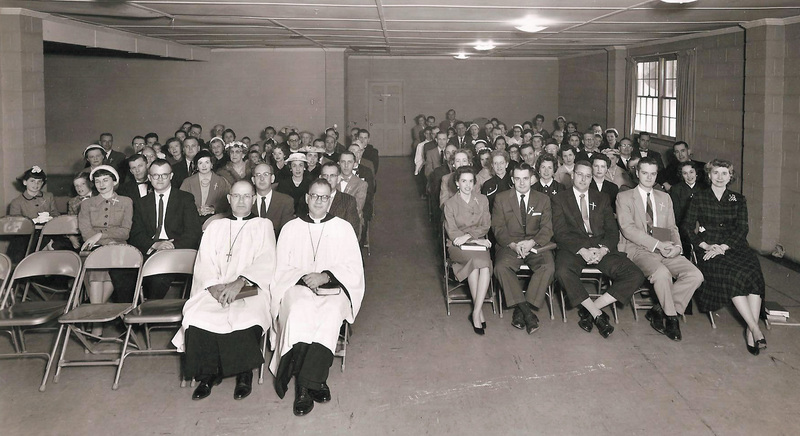 By 1966, the congregation had grown so much that the building was no longer large enough. In January 1967, plans were drawn up for a new wing to be built, and the ground-breaking for the second phase of the church took place May 4, 1969, with the dedication of the new building on June 14, 1970. 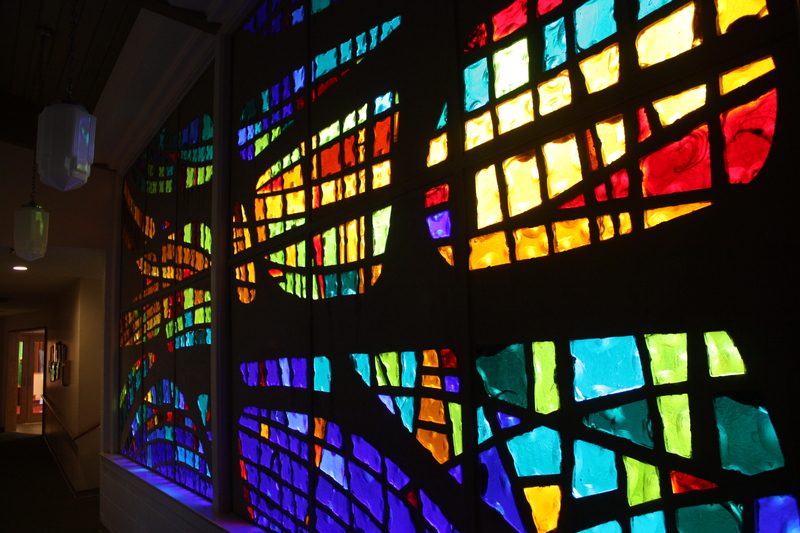 The iconography of the great stained glass window was described in the service bulletin as seeking, “to portray a panorama of human existence from natural creation to its ennobling through grace.” Dark and dismal colors are used at the base, with joyful, warm tones repeatedly penetrating the dark, showing God’s love through grace. The window is 40 feet long, 9.5 feet high and one inch thick. The stained glass was designed by John Woody of the Old Dominion Glass Company and is reputed to be the first of its kind. By 1976, the membership had grown 435%, to 538 members, mainly in the 20 to 40 year age range. 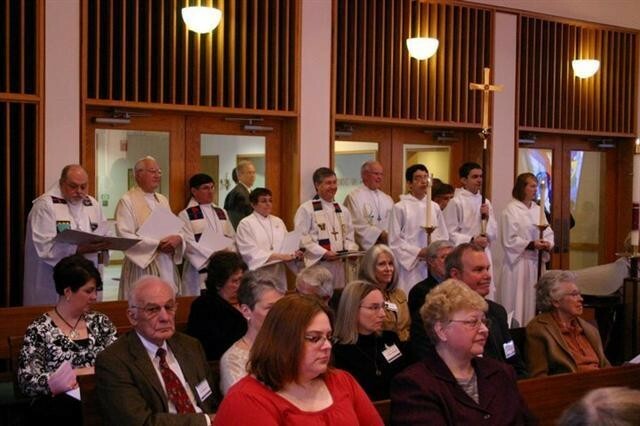 In the celebration of the Holy Communion, members stood around the altar to receive the elements instead of kneeling. A research survey found the congregation was friendlier to strangers than in many churches, and pastoral care and leadership was greater. Pastor Bill Kinser and his wife Ernestine retired in 1988, challenging the church to carry on in a spirit that would keep St. Luke strong and growing in the future. In 1989 a “Bold Vision, Bolder Witness” capital campaign was launched which eventually led to a new Nave, expanded East Wing, and general building renovation. Pastor John W. Bengston began his service as the second called pastor on August 1, 1989, and the congregation also hired Betsy Johnson as their first part-time Youth Coordinator, in January 1990. The new building, which is our current building, was designed by Clovis Heimseth Architects and there was a groundbreaking on November 17, 1991. The contract was signed with the builders, J. Kennon Perrin Construction, in March 1992, for a contract price of $875,000. 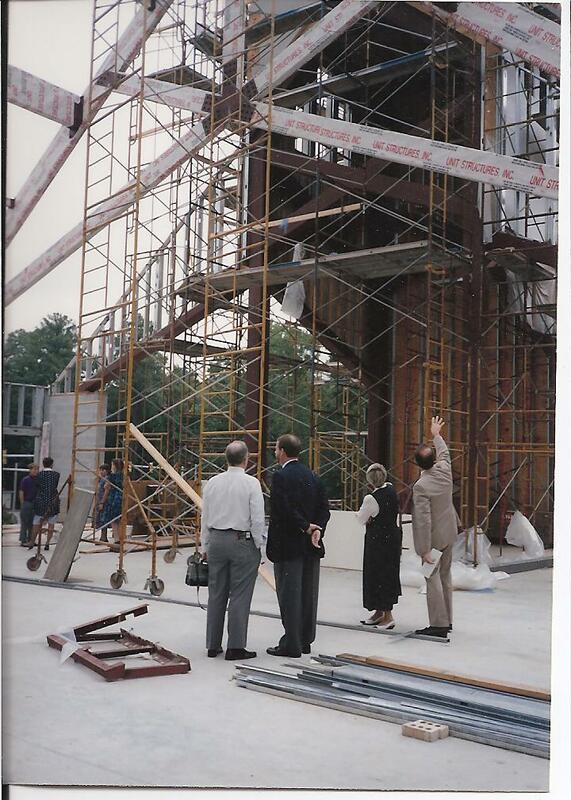 The cornerstone of the new building was laid on September 20, 1992, and on Christmas Eve that year, the congregation processed from the Fellowship Hall to the not-yet completed new worship area to sing, “Silent Night,” and pray, gathered round a lighted Christmas tree where the altar would eventually stand. 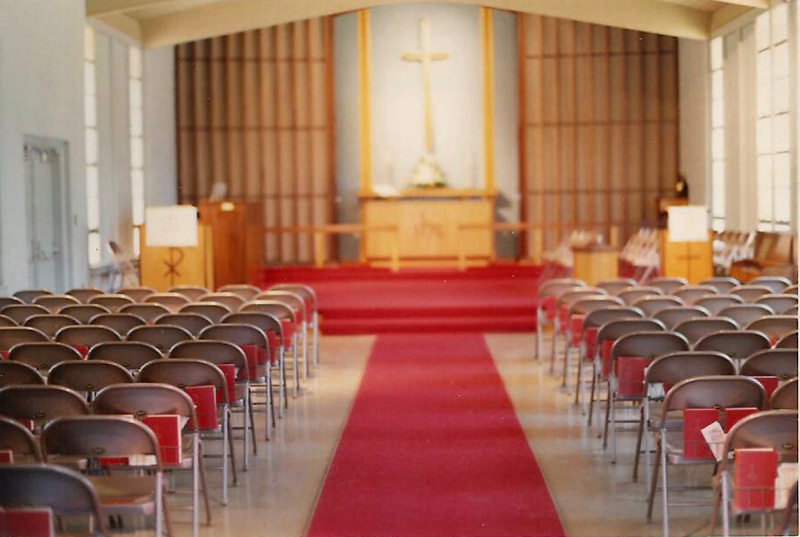 The first worship service in the new Nave took place February 14, 1993, during the ministry of Pastor John Bengston (1989 to 1997). Musician and composer John Ylvisaker participated in the celebration. The Nave has excellent acoustics and has been used for many benefit concerts over the years including the Gustavus Adolphus College Choir and Orchestra of St. Peter, MN, the Susquehanna University Choir of Selinsgrove, PA, Richmond Symphonic Winds, North Carolina Boy’s Choir, Huguenot High School Choir, Richmond Benefit Chorale, Belle Isle Strings, the Eckhart Ensemble and others. 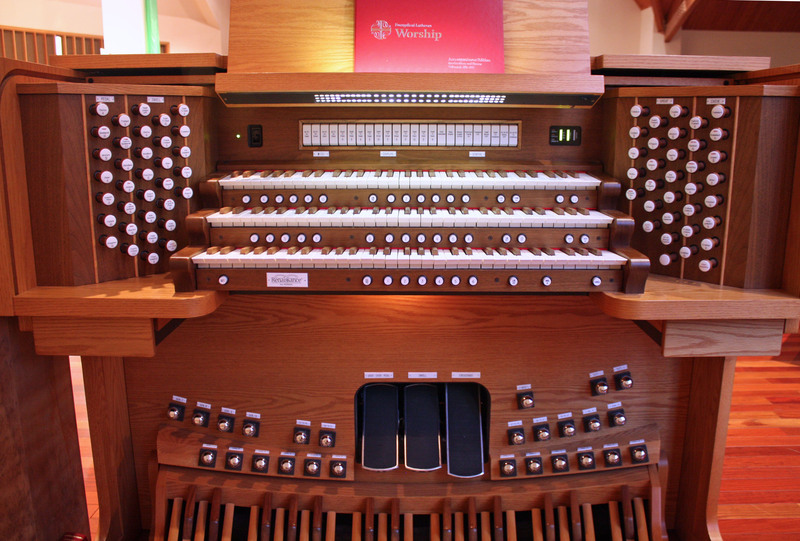 In 2014, the church became host to the annual Alexander Paley Music Festival, which will become a regular series of concerts on the last weekend of September each year. A number of other classical music concerts are being held throughout this year (2015). The current music director is Rich Barnett, who was appointed in June 2016. 1995. Further stained glass windows were added in 2003. 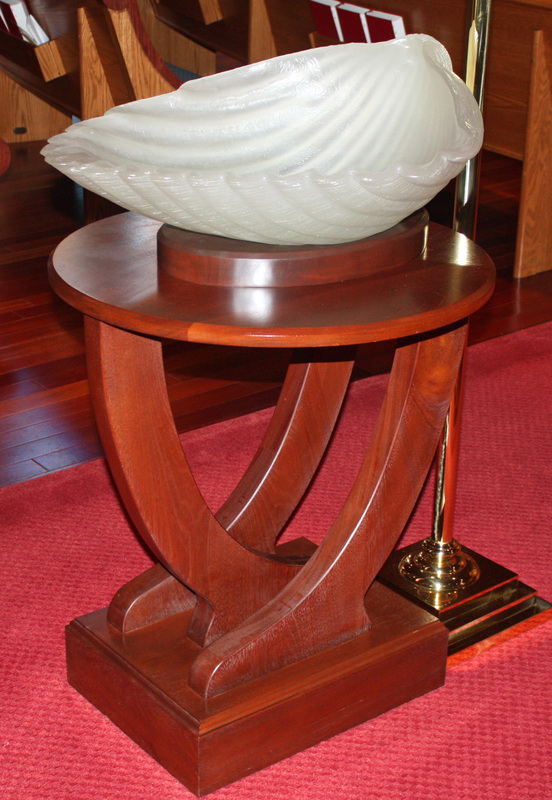 The glass baptismal bowl in the shape of a shell was made by Mr. Kent Ipsen of VCU, and the stand was made by by Mr. James Tiller of Chesterfield, both being dedicated on August 27, 1995. The stand design was made to match those of the altar, pulpit and flower stands, which had been dedicated on March 13, 1994, in time for the 35th anniversary celebrations. Pastor John Bengston celebrated his final services at St. Luke on Easter Sunday in 1997. Following the recommendation of the Call Committee, the congregation voted to call Pastor Robert J. Maier as the next called pastor of St. Luke, and Pastor Bob Maier began his service to St. Luke on July 19, 1998. Saint Luke Evangelical Lutheran Church celebrated its 50th Anniversary on February 22, 2009, on The Transfiguration of Our Lord Sunday. Bishop James Mauney brought special greetings from the Virginia Synod and delivered the sermon. Several of Saint Luke’s former pastors attended the service: Pastor Byerly, Pastor Bengston and Pastor Maier. A fellowship luncheon followed the Worship Service.